Recording the movements, activities and Interactions of a Person. Experienced surveillance agents are available at relatively short notice in order to monitor and record the movements, interactions and activities of any person. Agents are equipped with hi-tech audio/video/tracking equipment and can be deployed in teams comprising roving vehicles, motorcycles and "boots on the ground". Aerial and waterborne surveillance can be arranged. Surveillance entails the covert monitoring of a specific target (usually a person, but could also be an object or location) and the recording of movements, events and activities concerning, involving or relevant to that target. Surveillance is a key investigative resource in any investigation or enquiry as it provides clear, unambiguous and irrefutable visual proof of a person's actions. Intertel's surveillance assignments are undertaken by professional agents who have extensive training and experience in military, law enforcement and intelligence-related surveillance operations, practices and procedures. All surveillance is conducted in accordance with applicable laws, both criminal and civil, and surveillance reports (including footage and supporting testimony) are admissible as evidence in court. Surveillance is billed per agent, per hour. This hourly fee is dependent upon the area in which the surveillance is to take place, the number of hours of surveillance required as well as other factors relevant to the matter. Generally the rate will be in the region of R150.00 - R450.00 per hour. If vehicles are to be used then the standard AA-rates will be charged per vehicle, per kilometer. Other forms of transportation and incidental expenses (e.g. parking, tolls, entrance fees, etc.) are billed at cost. All costs will be discussed with you beforehand and a pre-approved budget for incidental expenses will be agreed upon. We would contact you discuss and seek approval for any potential major expenses that arise during the surveillance so you will never end up with a final bill that you were not expecting. Do I get a report at the end of the surveillance? At the completion of the surveillance assignment, you will receive a full written report and a DVD containing all video/audio/photographic evidence gathered. We are also able to identify and profile any "unknown" individuals who meet, interact or communicate with the target during surveillance. For extended surveillance assignments you will be provided with daily activity reports - either via email or telephone - which will highlight any significant events or questionable activities observed during that day. Customized reporting options are also available, for example, live audio and video feeds from our surveillance agents on the ground, periodic SMS notifications alerting you to the target's location, etc. Since our surveillance assignments are conducted lawfully, in a non-intrusive, non-invasive manner, our surveillance reports are admissible as evidence in court. Our teams can be redeployed to any location in those four provinces within 48 hours of completing their last assignment (these are marked in red on the map below). In provinces where we do not field a surveillance team of our own, we are able to call upon trusted associates in those areas to undertake surveillance assignments on our behalf. Our associates in the Eastern Cape, Limpopo and Mpumalanga are able to field surveillance agents within 3 working days of their last assignment (areas in dark orange) while associates in the Northern Cape and North-West Province need up to 5 days to prepare for surveillance assignments in certain parts of their province (areas in light orange). 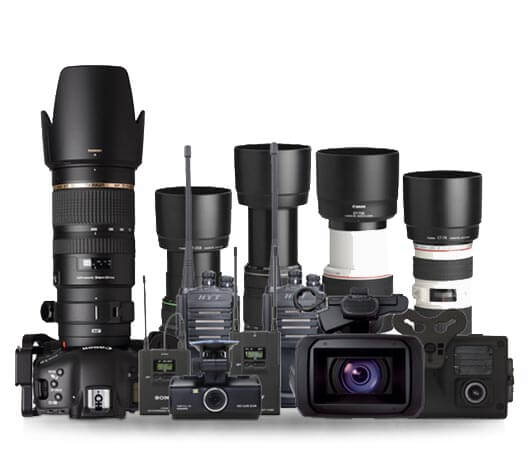 What equipment do your surveillance agents use?